Nature field guides provide a standardized, illustrated way of labeling nature, but have you ever wondered what happens behind the scenes to create them? 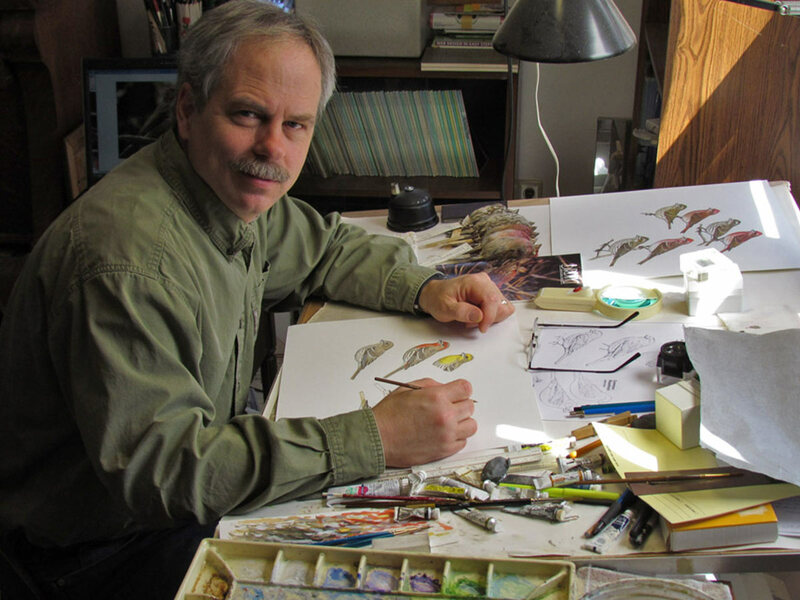 Thomas Schultz will share personal insights about how the illustrations in field guides are created — in this case for bird guides. Thomas has been studying and painting birds for over 40 years. In 1981 he was invited to work on a new bird book that was being undertaken by National Geographic to be called Field Guide to the Birds of North America.